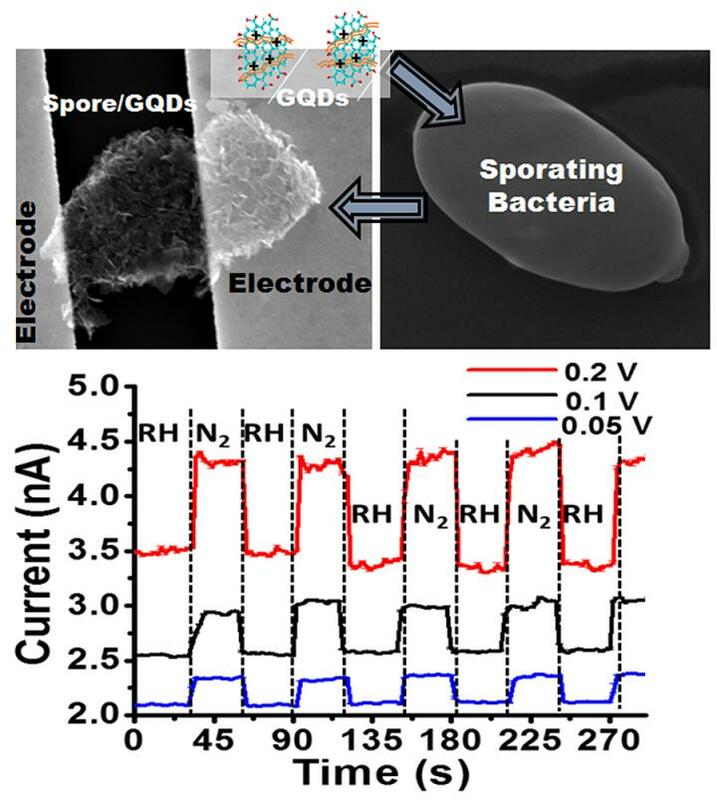 Graphene quantum dots deposited on a sporating bacteria produces a graphene coated spore. Upon attachment of electrodes across the cell, a bio-electronic device is produced that is highly sensitive to humidity. Here, the spore reacts actively to humidity; and the reaction is translated to an electronic response from the interfaced graphene quantum dots. T. S. Sreeprasad and Phong Nguyen of UIC were lead co-authors on the study. Sreeprasad, a postdoctoral fellow, is now at Rice University in Houston. Ahmed Alshogeathri, Luke Hibbeler, Fabian Martinez and Nolan McNeiland, undergraduate students from Kansas State University, were also co-authors on the paper. The study was supported by the Terry C. Johnson Center for Basic Cancer Research and partial support from the National Science Foundation (CMMI-1054877, CMMI-0939523 and CMMI-1030963) and the Office of Naval Research (N000141110767).